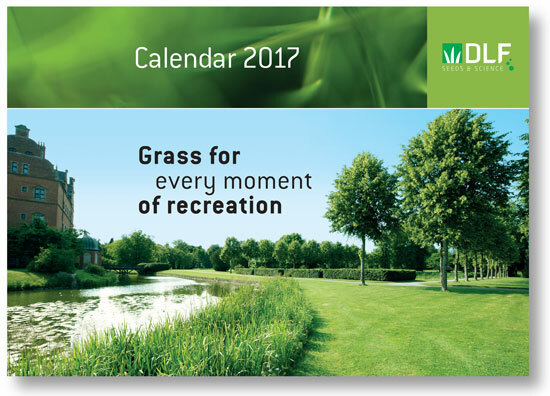 You may not have heard of DLF, the Danish grower of grass seed, but you will have experienced a moment or two of pleasure courtesy of its science and plant-breeding programme. Next time you down a glass of milk, chances are, it will have come from cows that grazed on grass grown from DLF seed. 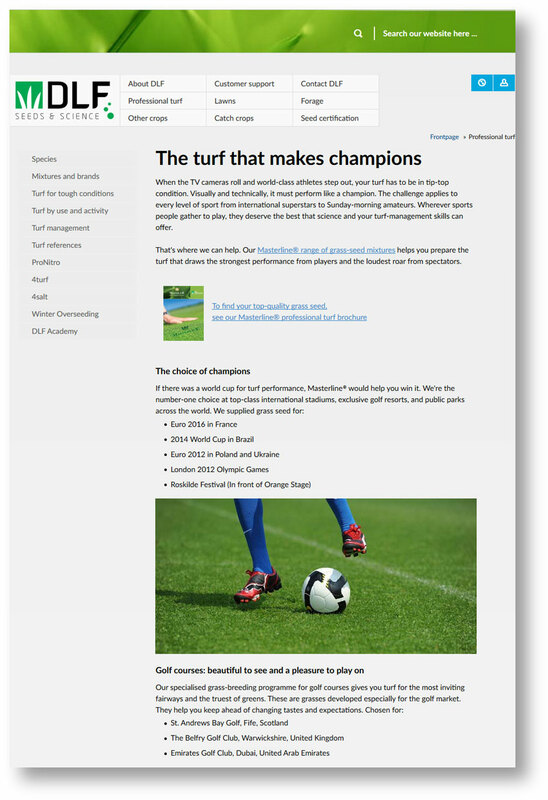 And if you like football: the World Cup and the Euros are usually played on turf grown from DLF seed. 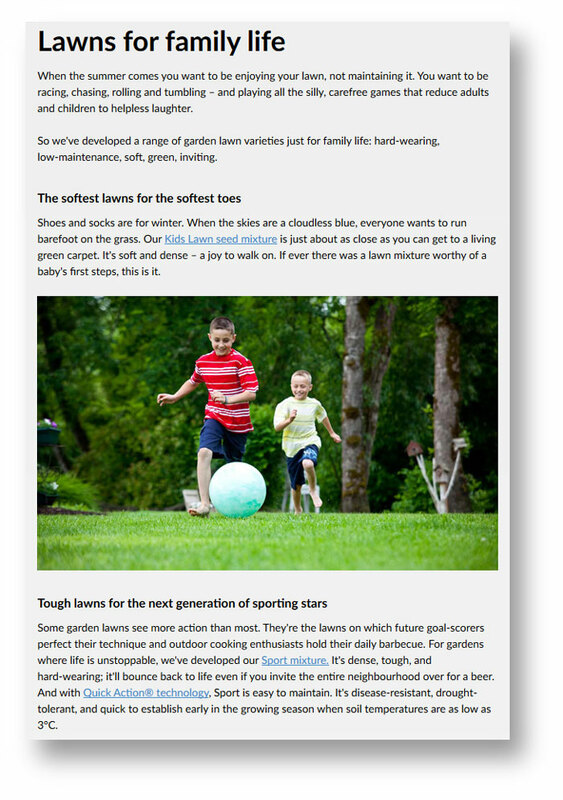 Our contribution to this worldwide greening programme has been to write much of DLF’s website content and many of its newsletters. We’ve also written snippets of copy for things like conference signage and the 2017 calendar (see image directly above). The pages between quotation marks are just two out of more than 50 tapped out for the DLF website.